Francis is back in Montreal (Canada) after a 3 years memorable journey in Dubai (United Arab Emirates). 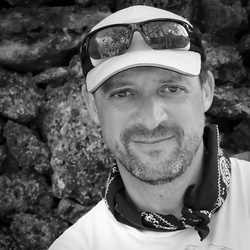 Between scuba diving, swimming, running and cycling, he is fully available for travel, adventure and landscape assignments. In addition, he is a movie set photographer. Francis as more than 15 years experience in Education as a Communication and Information Technology Teacher. He gives photography lessons from basic notions to digital photo processing with Photoshop, Adobe Camera Raw and Lightroom.